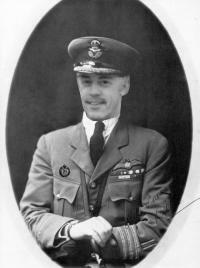 I start a career with RNAS 1, Nov. 1915. My settings are set to lead flights. Having made a hollowed out heart shape, with my wife's first initial in the center as my personal insignia, I take off on my first mission, ( I've flown 3 now ). I turned on 'labels' to affirm my flight. To my right is Roderic "Bregeut" Dallas. To my left is William McAulley - both identified with green labels. I (F1) out of my plane to view my insignia, and my info is in red label instead of the usual olive drab. Would any of you know why this is, and what should be done to get the normal colored label back? Thanks in advance. I wouldn't, but I don't get to fly much. Could it be that you are the flight leader? I'm sure somebody better acquainted with things will be around to help. That sounds good what you did with your wife's initials! Could you post a screen shot? You can change/customize any label color, transparency and background with help of WOFF UE Multimod (available here). Yes, the flight leader has a different colored label. However, mine are different than yours for some reason. For me, the flight leader is green and all other friendlies are blue. As JJJ65 said, you can use the multimod to make them whatever color you desire. I can't get the pic to load. The pic has to be under 1 Megabyte and .jpg format I believe. The pic is under 1mb and .jpg. I used attachment manager. When I upload the pic, all it shows on preview is a link. ? You have to click the link to view it. If you drag your uploded picture from the attachment manager into your message it will just show as a link, but when you 'post' the picture will show up in your post as a clickable mini-picture. As you can see, I'm labeled in red. I'm glad my flight members don't see that as an enemy plane and shoot me down. BTW - compare roundels on wings and fuselage . Interesting French/British combo. Little wonder you are marked with red label . You are German spy, are not you? Ok, you found me out. 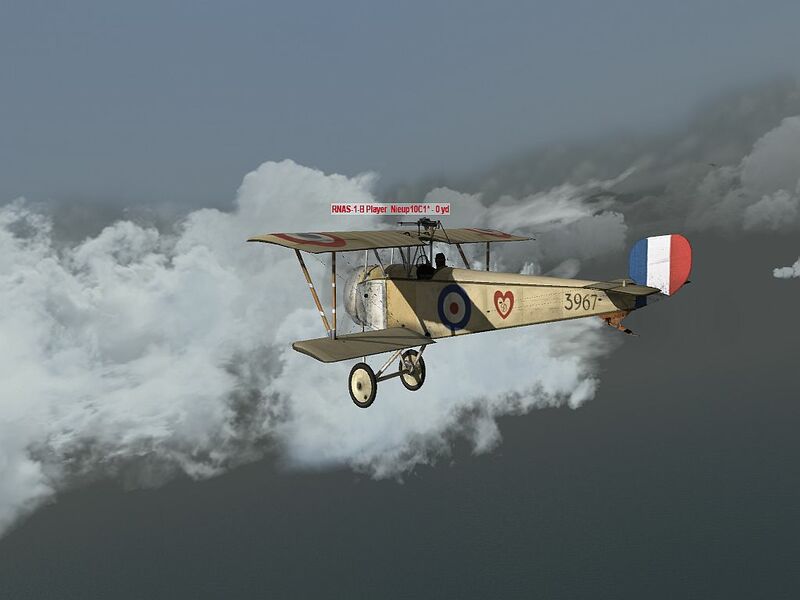 You have to admit though, the Nieuport is easier to fly than the Eindecker. Besides, the name Schultz would make it harder to apply for a British pilots license than Jake T. Scot. Thanks. That worked just fine. Glad it works and you are back in saddle, erm, meat grinder.